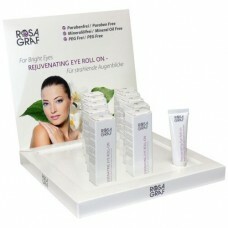 Note: Skincare products are not included. Only one paper insert of your choice is included. See other photos to view all the options. 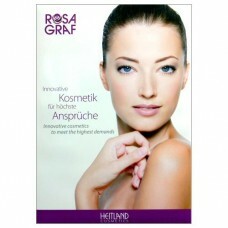 A great way to highlight items effectively is with the Rosa Graf Acrylic L-Display & Decorative Stand. 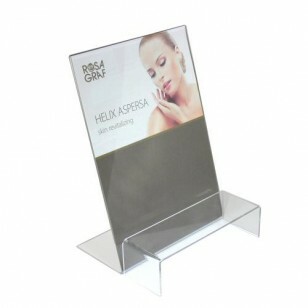 The lightweight and sturdy acrylic display for posters or flyers will complement any spa décor with its simple and elegant design. As easy to use as a picture frame, slide any flyer or poster that’s 8.5” x 12” or smaller into the acrylic L-display, and your sign will garner attention. And it conveniently stands up on its own, thanks to the L-shape design. 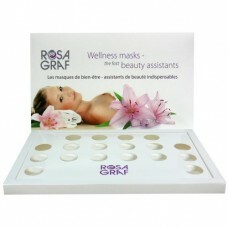 The display and stand are two separate pieces, so you can completely customize the way it looks in your store, salon or spa. You'll receive one paper insert of your choice. (Available options: Helix Aspersa, Method Baobab, Plant Stem Cells, and TeaTime) Please state in the comment field at checkout which one paper insert you'd like.